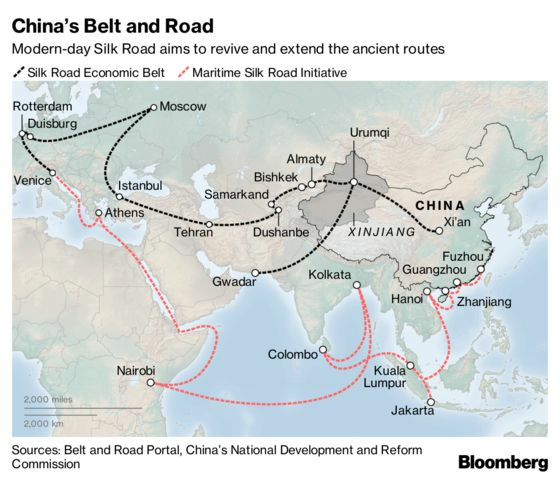 Countries should critically evaluate prospective Belt and Road projects for risks ranging from financial sustainability to potential for corruption before accepting Chinese infrastructure investment, according to a new study by Center for a New American Security. Chinese investment under the five-year-old Belt and Road Initiative presents seven challenges, analysts led by Daniel Kliman wrote in the report this week. Therefore participating nations should ask questions in those areas, such as “will the project significantly involve local companies and labor and transfer skills?” or “is the project structured to minimize bribery risk and opportunities for corruption?,” they wrote. The analysts reviewed 10 Chinese infrastructure projects under the Belt and Road Initiative across Asia, Middle East, Africa, Europe, Latin America and the Pacific islands to generate the list of challenges and the respective challenges. As an example, Kyaukpyu Port in Myanmar is presented as a nexus of all seven problems, with a contract locking in operating rights for the port to a Chinese firm for 50 years. The deal was sealed at the last minute without public debate and granted China direct access to the Indian Ocean, according to the report.